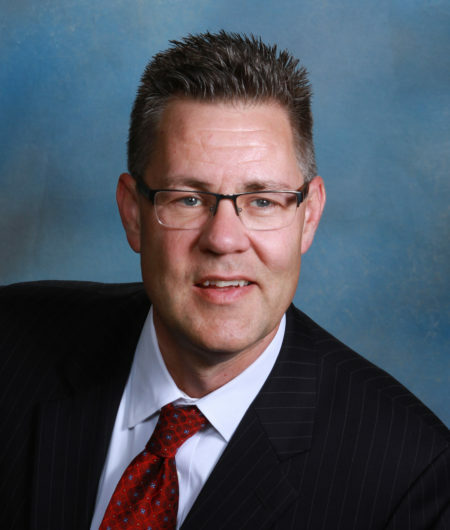 Bernie Barmann is a civil and business litigation trial attorney and mediator with Kuhs & Parker who grew up in Bakersfield and has been practicing law for nearly twenty-six years. A graduate of West High School, Claremont McKenna College, and Columbia Law School, after practicing in Los Angeles for twenty years, Bernie is proud to have returned home to Bakersfield to continue practicing law. Upon graduating from Columbia in 1990 he joined O’Melveny & Myers LLP, where he headed the Litigation Department’s annual new associate training program and led a seminar on the importance of civility in civil litigation. After more than nine years with O’Melveny, Mr. Barmann joined the international law firm Proskauer Rose LLP in Century City, and was later a partner in the Los Angeles litigation boutique firm Hirschmann & Barmann LLP, before rejoining O’Melveny in 2008. Since joining Kuhs & Parker in 2011, Mr. Barmann’s practice has focused on business litigation and trials, eminent domain proceedings, renewable energy, land use, and water law, and he is frequently called upon to advise local public agencies regarding a variety of issues. Bernie has served as a judge in the Kern County Mock Trial program and as an attorney coach for Frontier High School. He is the proud father of three amazing children—Andrew, a graduate of UC Santa Barbara; Patrick, a fabulous chef and graduate of the Bakersfield College culinary arts program; and Claire, a sophomore majoring in criminal justice at Marist College in New York. Bernie enjoys watching college football, drumming, cycling, swimming, and camping. Bernie is honored to serve on the Kern County Bar Association’s Board of Directors. He welcomes the opportunity to serve the members of the local bar and our community at large by working with the KCBA leadership and members to continue building on their great work that makes a positive impact on our community.